Nightlatches – What, where, when?? A night latch lock is a style of lock that is mounted onto the inside surface of a door, unlike mortice locks that are fitted inside a door. Night latches are available in many styles, security levels, colours and sizes, here we explain the difference and when to use each type of lock. All night latches locks have common features, all use a rim cylinder that is found on the outside of the door, a key is inserted into the cylinder to unlock the door and all have an internal handle. 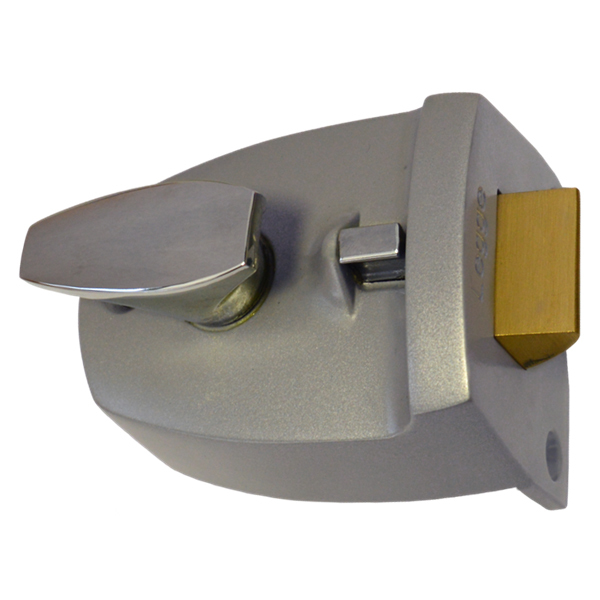 Size is also common to most nightlatches, with a narrow lock of around 40mm backset and a more standard case size of 60mm, the backset is the measurement from the edge of the door to the centre of the key hole. 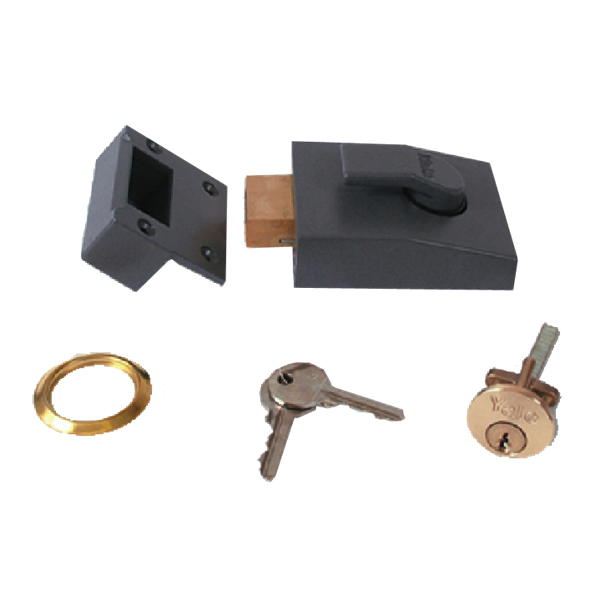 Lets start with a basic night latch, these are often combined with a mortice deadlock, the nightlatch will hold the door closed, a key is used from the outside to gain entry through the door, the mortice lock is used as the main security lock. 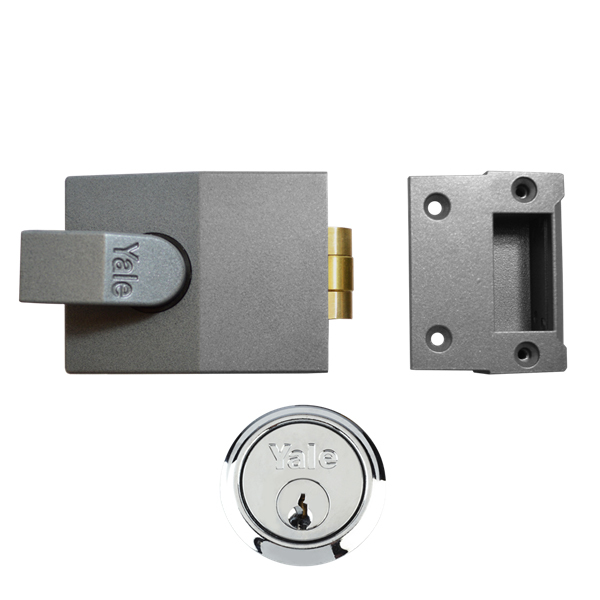 This basic lock can also be used on internal and low security doors, a key is used from the outside to unlock, an internal snib can be used to hold back or deadlock the bolt. These are similar to a basic nigthlatch but have the ability to be deadlocked by the key from the outside. When the door is pulled closed, the key is then turned to active the deadlocking. The snib on the inside can be used to holdback the bolt or deadlock from inside. Deadlocking night latches are ideally suited for internal flat doors, where the main security is found on the communal external door. As the name suggest, these type of night latch will automatically deadlock when the door is pulled closed. 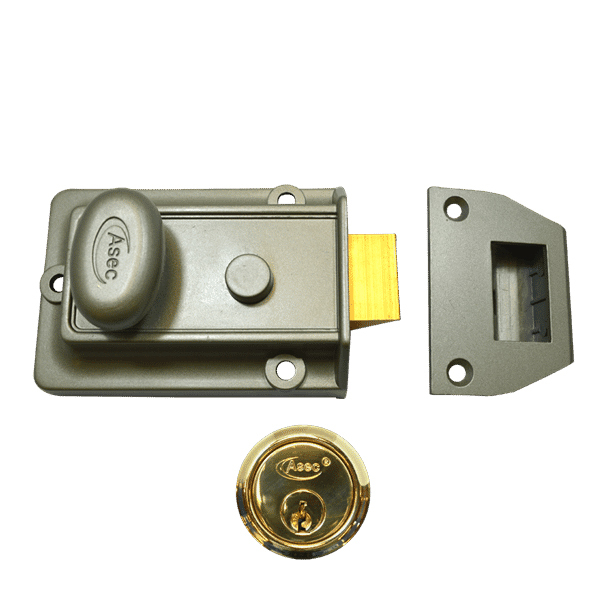 These offer some of the best security protection of all night latches with a number of these locks having British Standard BS3621. Most auto deadlocking locks also have an internal key way that allows the bolt to be locked closed, this will prevent anyone using a key from the outside to enter. Instead of the more standard curved bolt, a deadbolt night latch has a rectangular bolt as found on mortice locks, this bolt has to be manually withdraw before the door can be locked. This type of lock stops accidentally lock outs as the bolt has to be manually moved to lock. Similar to the deadbolt night latch, but instead has a roller on the edge of the bolt. This roller allows the door to be pushed or pulled closed and then held in the closed position, the bolt is then extended into the locked position by key from outside or handle from inside to lock the door. 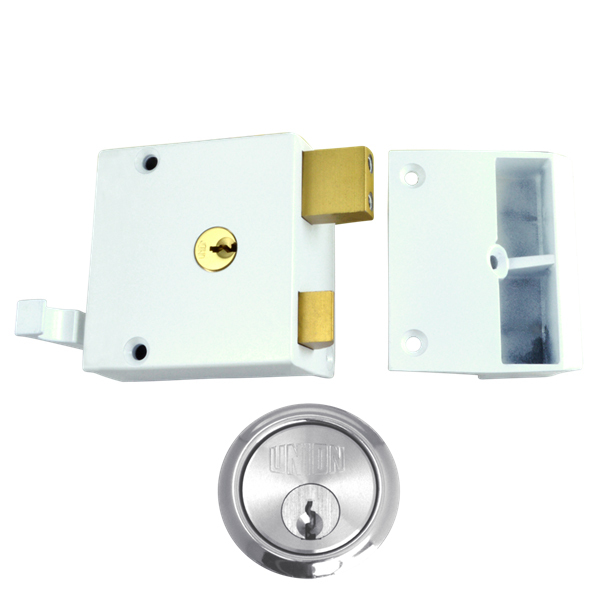 This type of lock also stops unintended lock outs and is therefore ideally suited to internal flat doors. 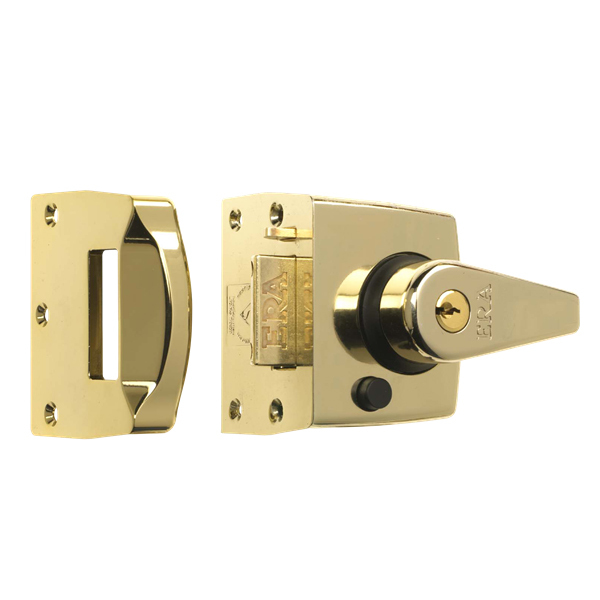 Drawback nightlatch locks are unique to Union and unique in their operation. Instead of the normal single bolt as found on most other nightlatches, a drawback lock has a latch bolt and locking bolt. The latch bolt is withdrawn by key from outside or handle from inside, the locking deadbolt is thrown by key from either side. The locking bolt also includes a double throw action, one turn of the key operates the first throw another full turn of the key operates the second throw.